KUALA LUMPUR, July 2 — MCA will never agree to any implementation of hudud for non-Muslims, Datuk Seri Dr Chua Soi Lek has said. The MCA president was responding to a Johor Umno state assemblyman’s recent proposal that the Islamic penal law be implemented to cover all residents in the state. 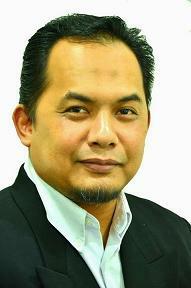 “The Johor Umno Adun must have run out of ideas and out of his mind 2 propose hudud in Johor including non-Muslims. MCA will definitely object it,” Dr Chua said on micro-blogging site Twitter last night. Umno’s Kemelah state assemblyman Ayub Rahmat was quoted by online news portal Malaysiakini as saying he wished to see Johor to become the first state to implement “true hudud law”, which he claimed would differ from PAS’s version. Ayub said his version of hudud law would be non-discriminatory as the adherents of all religions would be subjected to it in Johor. “The Syariah Criminal Code (II) 1993 State of Kelantan does not reflect the true requirements of Islam. It creates discrimination in terms of execution (among Muslims and non-Muslims),” Ayub had said. The Umno assemblyman, who made the proposal on the June 20 sitting of the Johor state assembly, said his proposal would help non-Muslims understand the implementation of hudud law, while accusing PAS of having failed to do so. Hudud is a contentious issue in multicultural and multireligious Malaysia. It is often used as fodder by political parties either to engender support or attack ideological opponents. So divisive is the topic that it even pits close allies against one another. Within the Pakatan Rakyat opposition pact, PAS leaders have publicly stated their support for the implementation of such laws, while the DAP has argued that it went against the spirit of the Federal Constitution.